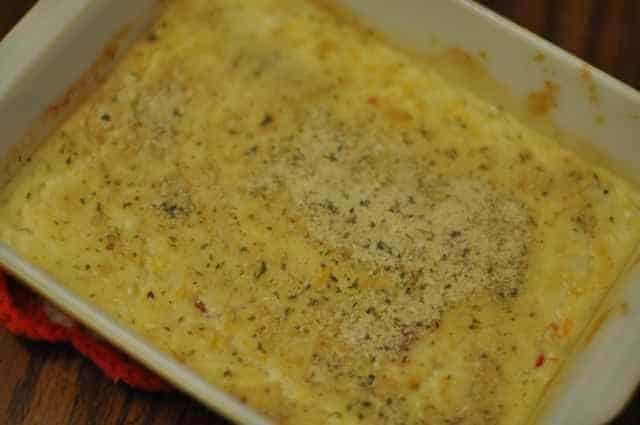 Scalloped corn supreme is a casserole which turns in a simple can of creamed corn into much more. A few extra ingredients makes this side dish something special. Make this classic Scalloped Corn Supreme with this easy recipe. Heat corn and milk. Gradually stir in egg. Add next 4 ingredients, and a dash of pepper. Mix well. Pour into greased 8 inch round baking dish. Sprinkle top with crumbs. Bake at 350 degrees for 20 minutes. This is no different than mine but I add oysters and there liquor . 1 to 2 small cans it depends how well you like them.